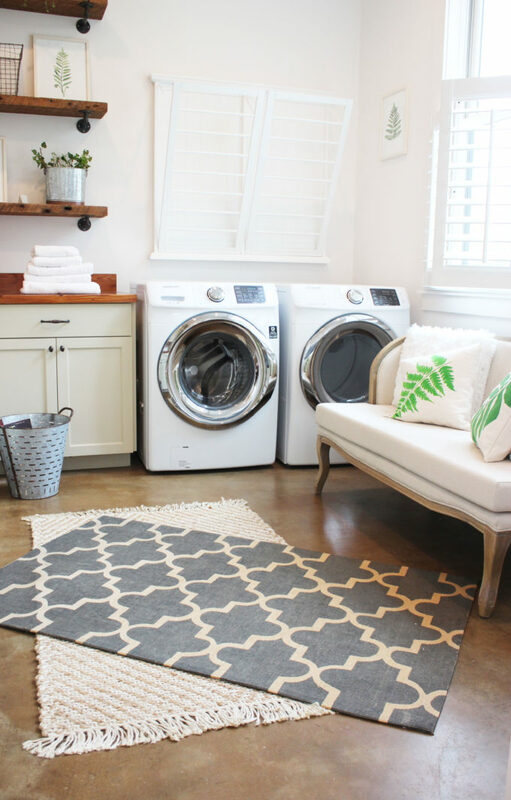 Home Stories A to Z writer, Beth Hunter, featured BLANCO in her latest blog post about tips for designing a beautiful and efficient laundry room. Let’s face it, no one loves doing laundry. On average, a typical family of four spends several hours each week sorting, washing, drying, folding and ironing between 7-10 loads of laundry. 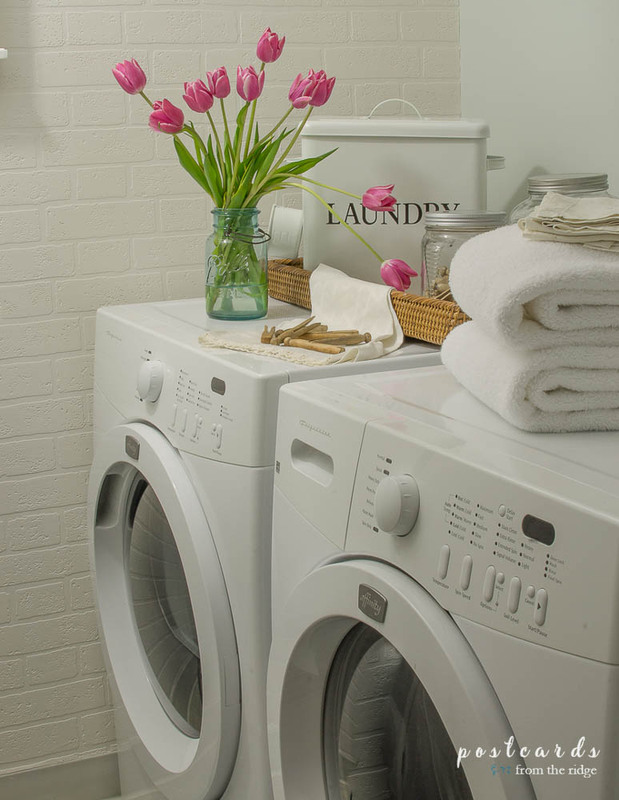 Just as a thoughtful, well-designed kitchen makes everyday tasks more enjoyable, so does a well-designed laundry room. 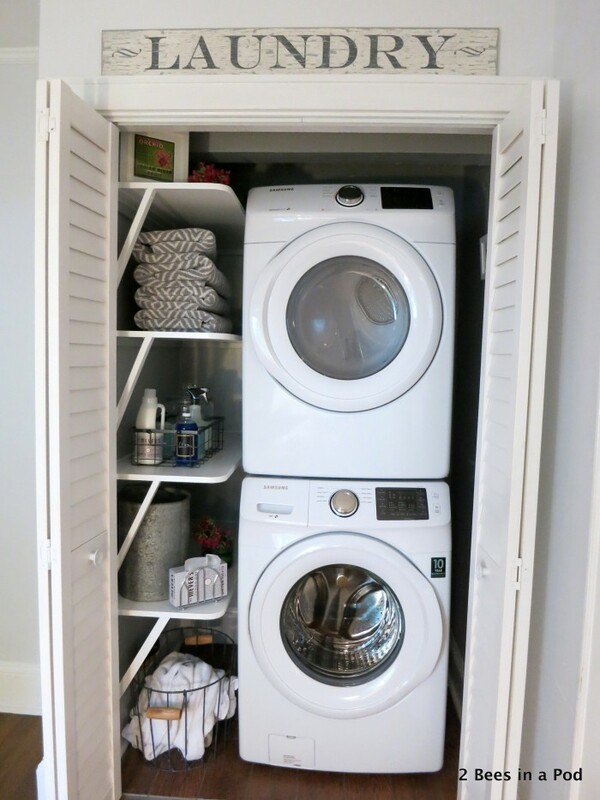 Here are my top five tips to help you design a more efficient and beautiful laundry space. 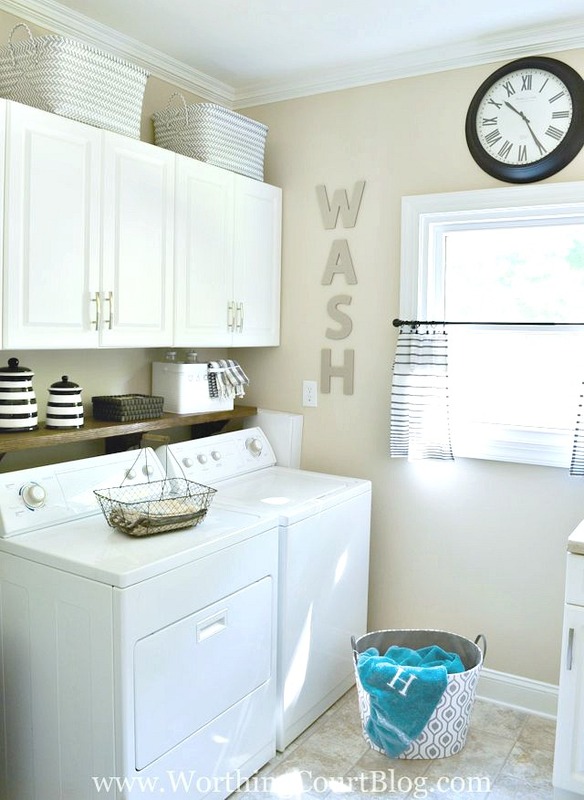 Whether you have a sprawling space or a tiny closet to work with, your laundry room should reflect your unique decorating style and blend in with your existing decor. 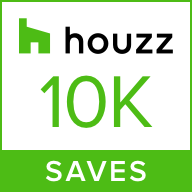 Small spaces provide fantastic opportunities to take a few design risks so go ahead and make it your own! 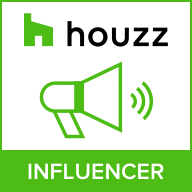 Now is the time to try out that bold floor tile, wallpaper or trendy pop of color you’ve been eyeing on Instagram. If light, airy and neutral is more your speed then consider adding tone-on-tone texture to your walls with white subway tile or an affordable textured wallpaper such as this brick wallpaper. 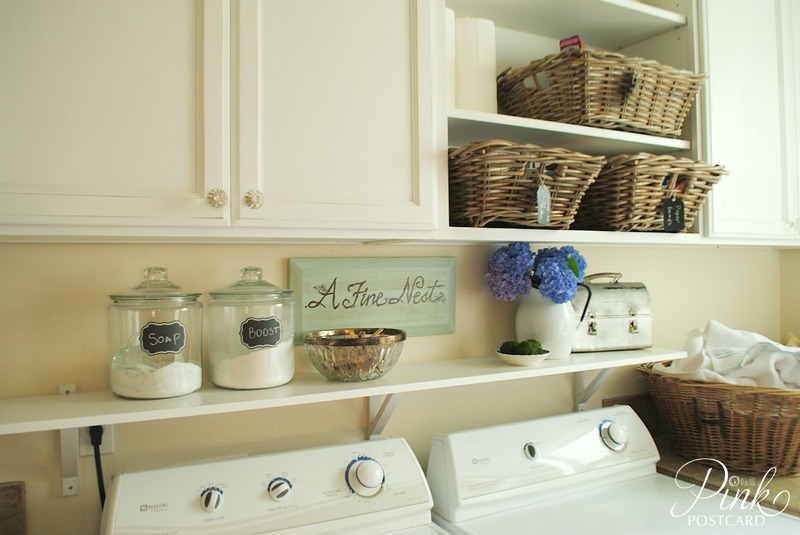 Making your laundry room feel like a “real room” will brighten your outlook on the task and add character to your home! Take exceptional design beyond the kitchen by installing a beautiful laundry sink. Laundry sinks are fantastic for hand-washing delicates, soaking stained items, pre-washing clothes, cleaning up paint brushes, washing off dirty shoes and taking care of kid and pet accidents. 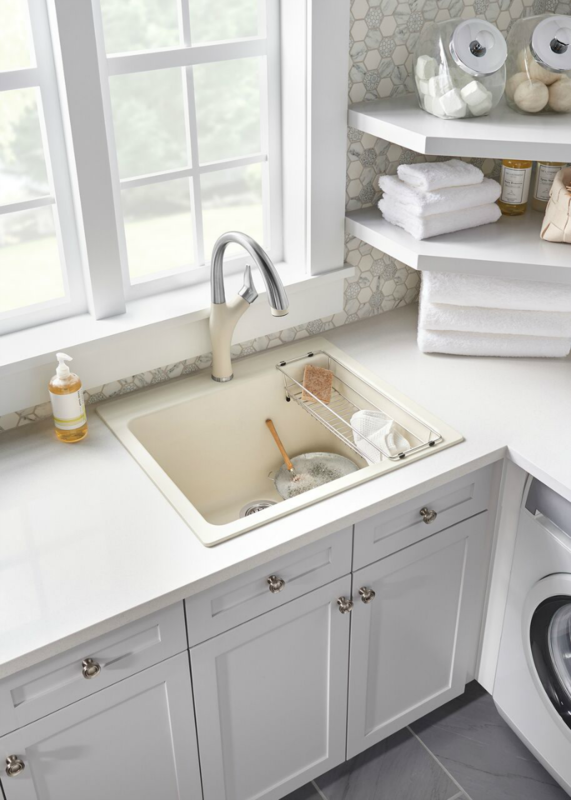 When considering laundry sinks, you want to look for a stain-resistant sink with a deep bowl. The BLANCO LIVEN™ sink is a great option that is offered in 8 heat, stain, and chip-resistant colors. It has an extra-deep 12″ bowl and comes with a beautiful space-saving basket designed to fit on top of the sink. The LIVEN’s small profile makes it an ideal option for tight spaces. With two kids and two dogs I love the durability that stainless steel offers. The BLANCO QUATRUS™ R15 stainless steel laundry sink is convenient, easy to clean and designed to fit within a variety of cabinet sizes. It features a versatile dual deck design which can be installed as a drop-in or undermount. 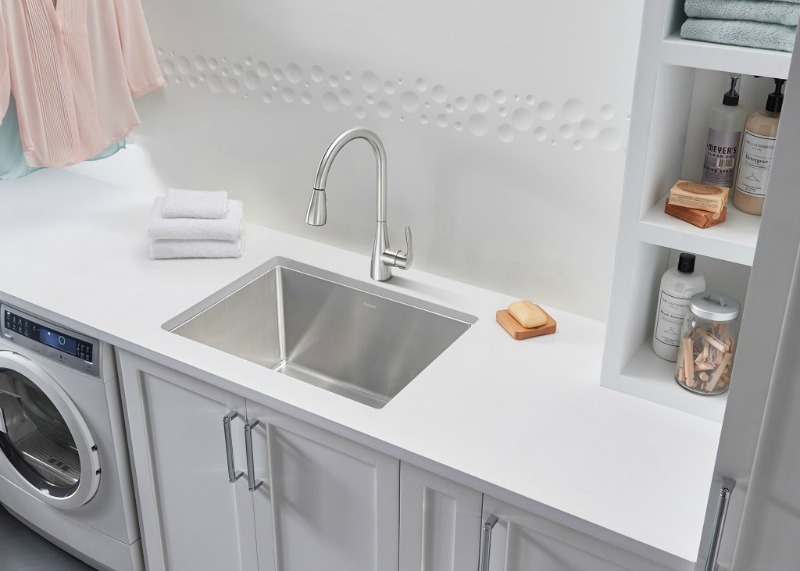 In addition, both BLANCO laundry sinks have generous radius corners making clean-up carefree. Life is messy, and a laundry sink will help you manage the mess with grace! When thinking through what your laundry design should include, form should follow function–meaning the purpose of the room should be the starting point for your design. Your laundry room should be designed with four zones in mind: sorting, washing/drying, ironing and folding/hanging. Take your cues from good kitchen designs and maximize your laundry storage with a combination of closed and open storage. In addition to laundry items, laundry rooms tend to house cleaning products, bulk supplies and other random but necessary household goods. Closed storage is an attractive way of keeping these items organized and accessible while still out of sight. Open storage provides the convenience and ease of use for frequently used items. A shelf directly above your washer and dryer makes for a convenient drop-zone for laundry detergents and dryer sheets. Store necessary laundry sundries in creative containers that fit your aesthetic. While not everyone has the luxury of working with a large space or a large budget there are ways to improvise. 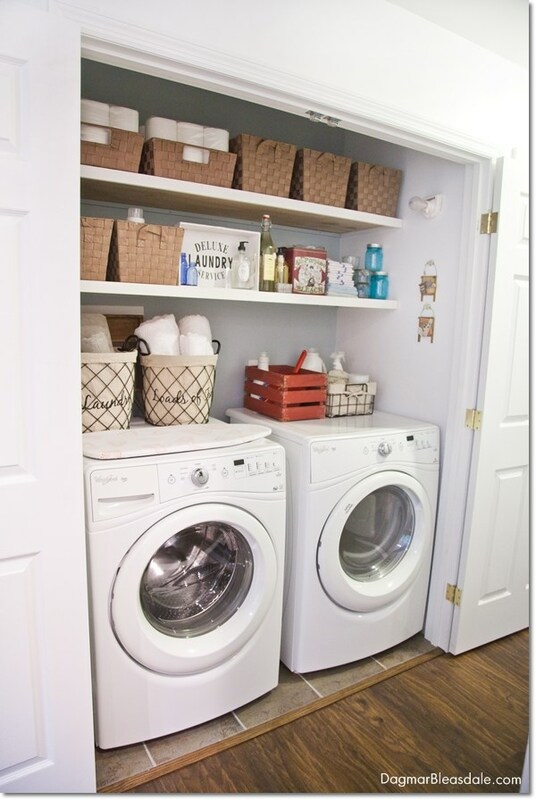 If your laundry room is limited to a closet-sized space, this doesn’t mean you have to sacrifice design or function. Think vertically in small spaces and utilize every square inch of space available to you. 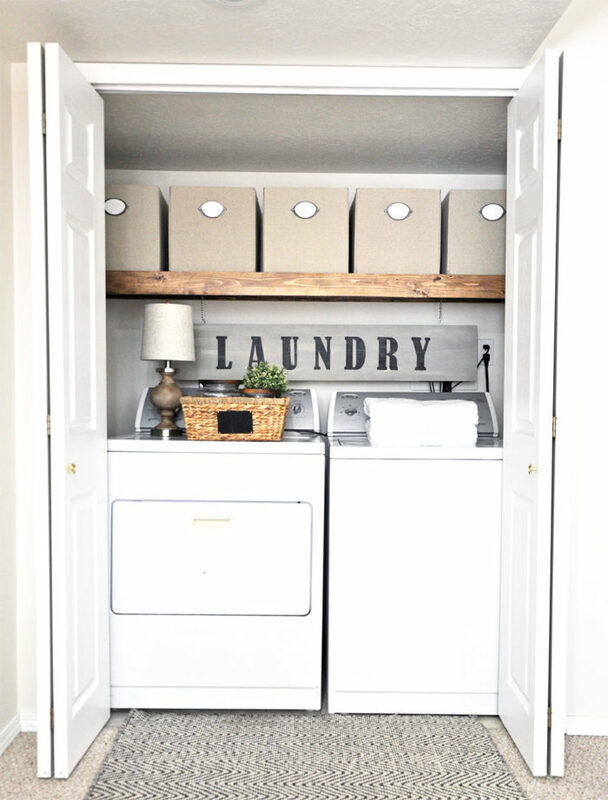 Even the smallest of laundry spaces can be beautiful and functional! Stackable machines, open shelving, attractive storage containers and a cute sign make this tiny space functional and pleasing to the eye. To read the full story from Home Stories A to Z, please visit the blog here.